If you live on the northside and you’re looking for a Bootcamp closer to home, come to the FREE April Beginners Ukulele Bootcamp at Nundah. 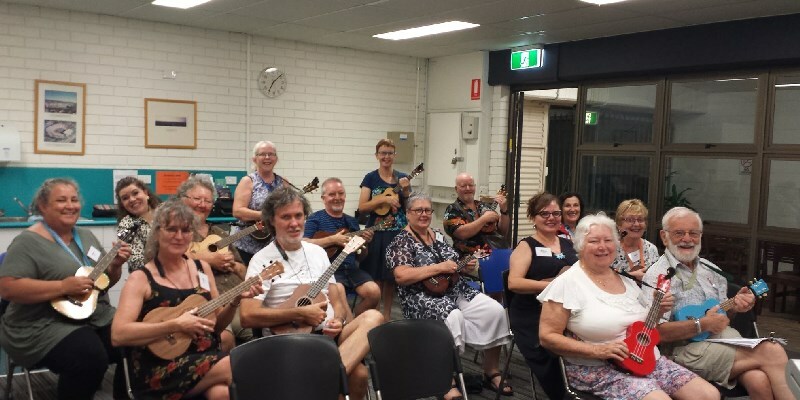 Beginners Bootcamp is specifically for ukulele players who can move smoothly amongst the basic chords like C, F & G7, and perhaps Am & G.
John and Keryn will run the April Bootcamp at the Nundah Brisbane City Council Library on two consecutive Wednesday evenings. Session 2: Wednesday 24 April 2019. 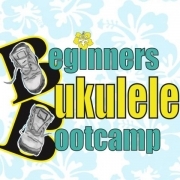 Beginners Ukulele Bootcamp offers practice tips, finger dexterity drills, ear training exercises, basic music theory, and how to find clues for playing songs in sheet music. 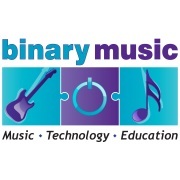 The chords used in this course include A, A7, Am, Am7, C, C6, C7, Cmaj7, D, D7, Dm, E7, F, G, and G7. Registrations open on 1 March 2019. Bookings are for two sessions. Arrive at 6:45 pm for a 7:00 pm sharp start. Sessions run from 7:00 pm – 9:00 pm. Bring your uke and tuner. Please only register if you are available for both sessions. Each person must register separately. The group size is limited to 24 participants. If you miss out, please add your name to the waiting list. Registrations close 7:00 pm on Wednesday 10 April 2019. Booking into Session 1 automatically books you into Session 2. Brisbane Ukulele Bootcamps are FREE. There is your first draw card. And, what have you got to lose? A few hours on a Wednesday night? 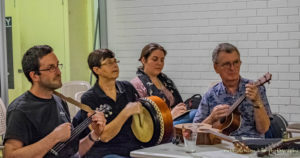 Three marvellous people, Keryn, Julie and John have designed classes to make it easier for people to start playing the ukulele, and not fluff around trying to mimic others. There are many videos on YouTube, but if you are not musically minded, this can be very daunting. Now you can say goodbye to the ‘daunt’. At Bootcamp you learn basic strumming and picking techniques and how to read music notation, all in a very relaxed manner. The pace is set by the group on the night so that nobody is left behind. The song choices are varied, which is nice, and unexpected, as they all have limited chords. The atmosphere was very relaxed, and the lessons designed to give a basic understanding of how music is written and played, and how to recognise the sounds of notes and chords, and to feel rhythm. We also learned how to take care of and strengthen our fingers and hands. We played … I use that term loosely … a few simple tunes on the first night. A pretty good achievement, I thought. We were supplied with notes and songsheets from the session for our homework. When we returned for the second class, we had all practised for different amounts of time. I tell you what though, by the end of that final class, we were playing more chords and more difficult tunes without too much pausing. For a bunch that couldn’t play a chord at the beginning of the previous week, this was really pretty cool. 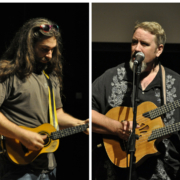 For non-music teachers, these three are pretty awesome uke teachers. I am now looking forward to the Beginners Ukulele Bootcamp in March. March at Bulimba – Register via Trybooking. April at Nundah – Register via Trybooking. 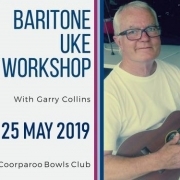 https://www.brisbaneukulele.com/wp-content/uploads/2019/02/AbsoluteBeginnersUkuleleBootcampLogo_800x400.jpg 400 800 Keryn https://www.brisbaneukulele.com/wp-content/uploads/2017/03/BUMSInc_fromESPfile_266x156dpi.gif Keryn2019-02-19 21:30:322019-03-01 22:16:06Why Bootcamp? BUMS has a big weekend of ukulele for you in October. 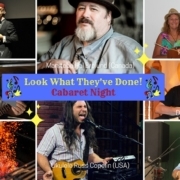 Join us for a Cabaret- Look What They’ve Done! 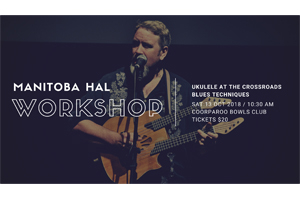 A entertaining night for all music lovers and ukulele enthusiasts featuring international artists, Manitoba Hal (Canada) and Ukulele Russ (USA) as well as homegrown acts Tyrone & Lesley, The Hypnotonics, and Peter Ransom. Our MC is Tyrone and added attractions Donna & Derek, and Mick Angeles. EXTRA BONUS- For those having too good a time to go home, Ukulele Russ will be playing in the Green Bar downstairs until 11pm! Ticket includes a BBQ with gluten free options available (choose this option when buying tickets). PLEASE NOTE: This is a catered event. There are no tickets at the door. Purchase your tickets by Sunday 7th October 2018. If you have a table of 6/7 please advise Jo Kunde via mediamanager@brisbaneukulele.com. 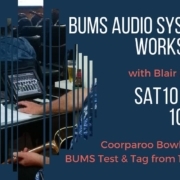 If you have recently joined BUMS and did not receive the promo-codes email Jo Kunde at mediamanager@brisbaneukulele.com. 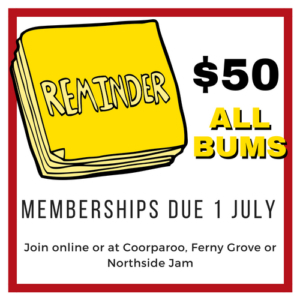 BUMS members SAVE with promo-codes. Check your email 11/08/2018, subject: BUMS Big Weekend Of Uke Promo-codes. Massive savings for our loyal financial members! You don’t need the VIP Package … don’t select the VIP ticket. Purchase the Cabaret and both workshops with the members promo-codes and get the 3 events for $56! Save $10 over the VIP ticket. 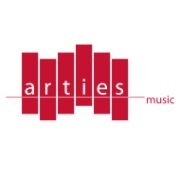 Save 10% on Cabaret tickets and 50% on each workshop. Members Tickets limited to 2 per event. Each ticket attracts a .30 booking fee. If you didn’t receive an email, time to renew your membership. Scroll down for tips on How To Buy Tickets. Want even more ukulele? Check out Vic Kena’s Ukulele Extravaganza on Saturday night at Bulimba Golf Club. BUMS members it’s easy to buy all your tickets in one transaction even though they are three separate events. Each ticket has a .30 booking fee. Click yellow NEXT button in bottom right. If you require a Gluten Free meal choose YES from the drop down box. 3. Click yellow APPLY and wait for page to refresh. 4. Choose FIND OTHER EVENTS if you want to buy tickets for the Workshops. Follow step 1-4 again for each event. Use the individual promo-code for each event. 5. Choose BUY MORE TICKETS if you want to go back and buy tickets for family and friends. 6. When you have completed the last ticket selection proceed to checkout. Need more help with Trybooking? Check out these tips first. If you have questions or require assistance please contact Jo Kunde via mediamanager@brisbaneukulele.com. 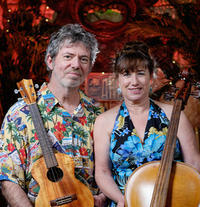 Brisbane Ukulele Musicians Society (BUMS) is excited to welcome A J Leonard and Jenny Rowlands back to Brisbane. 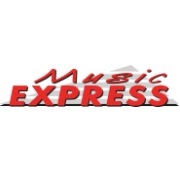 Multi instrumentalist, arranger and recording artist A.J. Leonard is one of Australia’s pioneer ukulele players and is highly regarded to be among the best in the world. After attending the VCA Jenny Rowlands continued her study of the cello overseas and has performed professionally throughout the classical scene in Australia. 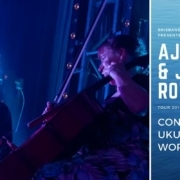 Together they are a true melding of musical minds, known on the world circuit for their unique ukulele/cello interplay and finely crafted arrangements. WORKSHOP- Variety Is The Spice Of Life! 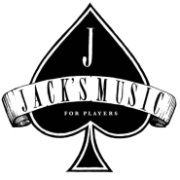 AJ’s Philosophy- In the 70’s I was fortunate to learn strumming techniques from a master that I still use today. These techniques as far as I know are unique even in today’s omnipresent ukulele culture. Our strumming hand produces the sound. The right hand or “the engine room” is so called because it’s what drives and controls the rhythm and dynamics. It’s like a runaway horse that needs to be tamed and controlled. 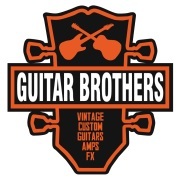 Requirements- Bring your ukulele … Baritones are welcome but perhaps helpful if they bring a capo! Samual Grays Cafe and Craft Beer Bar. Food, craft beer and great coffee available for purchase during the break. Lunch available from 11:00am before workshop ring to book your table 32645227. All tickets + booking fee. BUMS members click Enter Promotional Code on top right FIRST and enter your code. 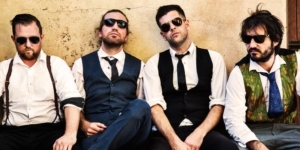 BUMS is excited to present Ben, Julian, Reuben and Eamonn from the worlds most dangerous ukulele group, The Ukulele Death Squad, for two workshops of ukulele mastery. Join the Ukulele Death Squad, and dive into an in depth look at alternative strumming patterns. 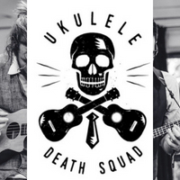 We all know how to strum our ukes, but the Death Squad will deliver some easy, some hard and some death defying new patterns to keep your strumming interesting and diverse. BYO Music Stand. Materials to take home. 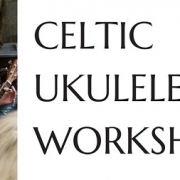 Workshop 2 – Beginner and Intermediate players welcome. Ben, Julian, Reuben and Eamonn from the worlds most dangerous ukulele group, The Ukulele Death Squad, in an hour of ukulele mastery. 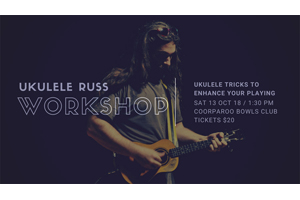 This workshop is designed for ukulele players that are looking to think outside the box, and break away from the standard strum patterns and finger picking. The Squad will dissect a song, and give us many options on how we can play alternative parts to our neighbour or fellow musicians. Particularly in bigger groups. We can fall into the trap of everyone playing the same parts, why not build dynamic and variation, by everyone offering something different to add to our songs, especially when we have larger groups or ensambles. See Ukulele Death Squad perform at Lefty’s Old Time Music Hall on Sunday 23 September 2018. 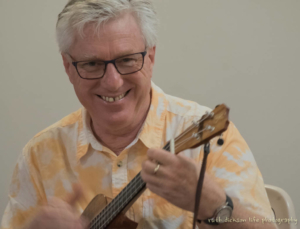 Build your strength and confidence and master a new set of chords at Brisbane Ukulele Bootcamp’s free September beginners’ course. Attendance is specifically for beginners who can move smoothly between C, F and G7, but want to master more. Session 2: Wednesday 19 September 2018. Arrive at 6:45 pm for a 7:00 pm sharp start. Sessions run from 7:00 pm – 9:00 pm. Bring your uke and tuner. 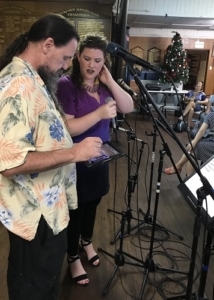 Julie, John and Keryn will revise ukulele basics with Am, C, F and G7, and use mastery drills to add more chords and songs to your repertoire. No notetaking required. You’ll be much too busy. We cover a lot of material in each session, so you’re unlikely to master everything at Bootcamp. Detailed notes with supporting resources designed to help you structure your own practice sessions will be emailed to participants after each session. Practising for 10-15 minutes most days of the week following the Bootcamp sessions will help you to consolidate what you learn. 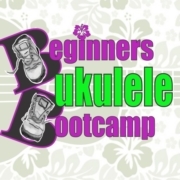 Beginners Ukulele Bootcamp offers practice tips, finger dexterity drills, ear training exercises, basic music theory and how to find clues for playing songs in sheet music. The chords we’ll use for this course’s drills, chord progressions and songs include A, Am, A7, Am7, C, C6, C7, Cmaj7, D, Dm, D7, E7, F, G, and G7. Registration: Please register via Trybooking https://www.trybooking.com/XLMU. Registrations open on Saturday 11 August 2018. Bookings are for two sessions. Please only register if you are available for both sessions. As the group size is limited to 20 participants, if you think you have missed out, please add your name to the waiting list. Registrations close 7:00 pm on Saturday 8 September 2018.